Justin Drew Bieber (born March 1, 1994) is a Canadian singer-songwriter, record producer and actor. Bieber was discovered in 2008 by American talent manager Scooter Braun, who came across Bieber's videos on YouTube and later became his manager. Braun arranged for him to meet with entertainer Usher Raymond in Atlanta, Georgia, and Bieber was signed to Raymond Braun Media Group (RBMG), and then to an Island Records recording contract offered by record executive L.A. Reid. His debut extended play, the seven-track My World, was released in November 2009, and was certified platinum in the United States. He became the first artist to have seven songs from a debut record to chart on the Billboard Hot 100. 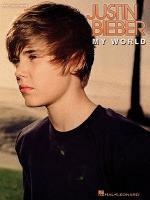 Bieber's first full-length studio album My World 2.0, was released in March 2010. It debuted at or near number-one in several countries and was certified platinum in the United States. It was preceded by the worldwide top-ten single "Baby". He followed up the release of his debut album with his first headlining tour, the My World Tour, the remix albums My Worlds Acoustic and Never Say Never – The Remixes, and the 3D biopic-concert film Justin Bieber: Never Say Never. Bieber released his second studio album Under the Mistletoe in November of 2011, when it debuted at number-one on the Billboard 200. Bieber released his third studio album Believe on June 19, 2012, and it became his fourth chart topper in the United States, debuting at number-one on the Billboard 200. Bieber has received numerous awards, including both Artist of the Year Awards at the 2010 American Music Awards and the 2012 American Music Awards, and was nominated for Best New Artist and Best Pop Vocal Album at the 53rd Grammy Awards. With a global fan base, termed as "Beliebers", and over 30 million followers on Twitter, he was named by Forbes magazine in 2012 as the third most powerful celebrity in the world. He had earned an estimated US$55 million in the previous 12 months. 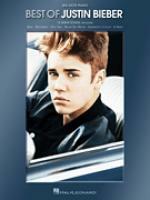 As of May 2012, Bieber has sold 15 million albums. 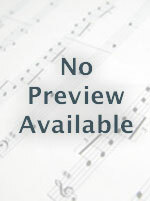 Instantly printable sheet music by Justin Bieber for ukulele of MEDIUM skill level. 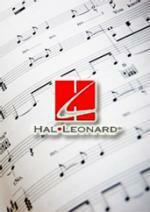 Instantly downloadable sheet music by Justin Bieber for piano solo of EASY skill level.